Welcome to Poveglia, the most haunted island on Earth! Author J.H. Moncrieff has been there and on this episode of Monster Men, she tells us her stories. Just off Venice in Italy, Poveglia is known as one of the world’s most haunted places. Poveglia has a terrifying, plague-infected history complete with a creepy mental hospital, a deranged doctor, the buried remains of hundreds of people and maybe a ghost or two. The island is a legendary haunted location and off limits to the public, but that did not stop our courageous guest. Not only did she make it to the island, but she explored it alone. (Just her and the ghosts.) You will love her stories. She also shares a few other fascinating stories of her paranormal experiences, which just might have you leaving a light on tonight. J.H. Moncrieff is a delightful person and an amazing author. You won’t want to miss her books; City of Ghosts, The Girl Who Talks to Ghosts and The Bear Who Wouldn’t Leave. Cannibals, ghosts, scary old folks and Hunters new ink… this new Monster Men has it all. We welcome horror author Adam Cesare to the show to discuss his books Mercy House, Tribesmen and Video Night. Featuring a review of THE GREEN INFERNO and the unveiling of Hunter Shea’s new tattoo! On this episode of Monster Men we welcome back author Keith Rommel and Sunbury Press owner Lawrence Knorr. 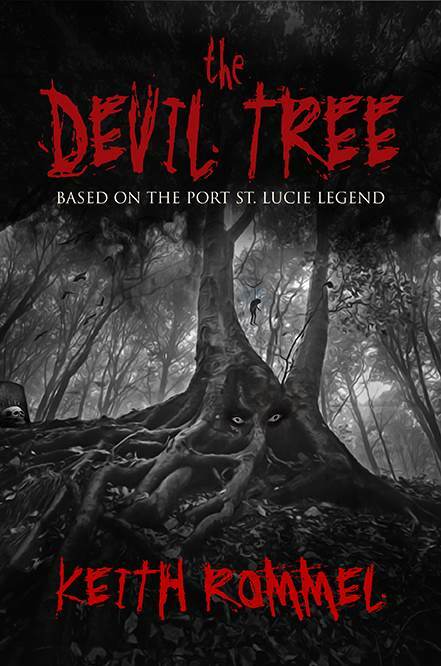 Keith is releasing a new book, THE DEVIL TREE, which is a terrifying, fictional take on a real life legend in Port St. Lucie, FL. Keith is an award-winning author, screenwriter and he’s always a ton of fun on the show. We are also thrilled to have Lawrence Knorr on the show. Lawrence is the owner of Sunbury Press, which is the publisher of Keith’s acclaimed Thanatology Series which includes The Cursed Man, The Lurking Man, The Sinful Man and the upcoming novel, The Silent Woman. Also worth checking out from Keith are Among The People and You Killed My Brother. A movie of The Cursed Man now being produced and is expected in Oct. of 2015. 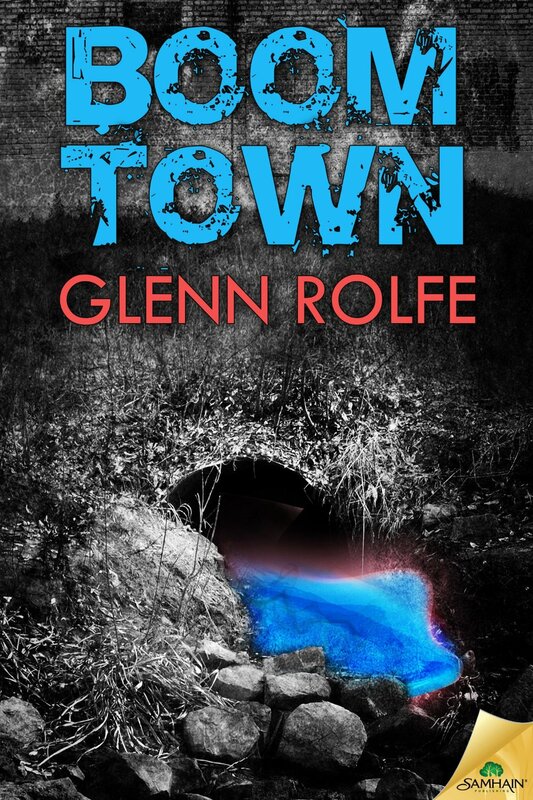 On this episode of Monster Men, we welcome author Glenn Rolfe to talk about his new alien invasion sci-fi/horror novel, BOOM TOWN. We talk about his work, aliens and alien movies and also his other books that focus more on ghosts and hauntings. Good stuff. Glenn Rolfe is an author, singer, songwriter and all around fun loving guy from the haunted woods of New England. He is the author the novellas, ABRAM’S BRIDGE (Samhain Publishing, 2015) and BOOM TOWN (Samhain Publishing, 2015). Hear the stories behind the new Hunter Shea​ novel. On this episode of the Monster Men video podcast, we celebrate the release of Island of the Forbidden, the new ghostly horror novel by our own Hunter Shea. In this show we’ll hear the stories behind the book and also learn a little about the life of a horror author. Island of the Forbidden is the latest book in a series that includes Forrest of Shadow, The Graveyard Speaks and Sinister Entity, but each book can be read as a stand alone novel. Sometimes, the dead are best left in peace. Jessica Backman has been called to help a strange family living on a haunted island in Charleston Harbor. Ormsby Island was the site of a brutal massacre two decades ago, and now the mysterious Harper family needs someone to exorcise the ghosts that still call it home. The phantoms of over one hundred children cannot rest. But something far more insidious is living on the island. When the living and the dead guard their true intentions, how can Jessica discover just what sort of evil lurks on Ormsby Island? And why is Jessica the only one who can plumb its dark depths? A new Monster Men is up: We’re talking horror with Mark Slade: Author & Horror Aficionado – Learn about the many works of this man of the macabre and then enjoy some great horror movie conversation. Mark is a man of many horrors. He is an author, magazine writer, editor and a podcaster. He also has encyclopedic knowledge of horror movies for the 60s, 70s and 80s. He’s a true horror aficionado. Electric Funeral, Blackout City, Nightmare Illustrate magazine, Horror Metal Sounds magazine, Bloody Dreadful.com and much more. Then the conversation turns to horror movies and you will not want to miss it. We cover everything from the works of Richard Matheson and Christopher Lee to films like The Devil’s Bride, Texas Chainsaw Massacre, The People Under the Stairs, Halloween, Ed Wood and The Night Stalker. Cursed Men, Fallen Angels and the ever present shadow of death. On this new Monster Men we welcome back our buddy Keith Rommel. The movie of his book The Cursed Man is coming soon, and you won’t want to miss his other novels. Keith is an award winning author, screenwriter and all around great guy. He’s definitely a Monster Man. Keith authored the critically acclaimed dark suspense Thanatology Series which includes The Cursed Man, The Lurking Man and The Sinful Man. (As well as the upcoming novel, The Silent Woman.) He has also dabbled in psychological crime with the fast-paced You Killed My Brother and the mythological novel entitled Among The People. Among the People tells the story of a fallen angel hiding on Earth, and the terrible secret he discovered in hell. Keith is the co-screenplay writer for The Cursed Man movie being produced as a major motion picture under the same title. Coming soon. No doubt, the Monster Men will be first in line.